After brainstorming for a new tagline over a period of time, the Congress party has connected it with the newly launched minimum income guarantee scheme, offered in its manifesto, where 20% poor will be given Rs 72,000 per annum, to uplift them from grave poverty. As per sources in the Congress, the internal survey conducted by the party about the new minimum income guarantee scheme has resulted in a positive way in most the states and has gained some momentum and traction across the country. As per a Congress leader, “But we will have to keep talking about it, simplify it as much as we can, keep communicating it,” said to The Indian Express, being a part of the party’s campaign board. 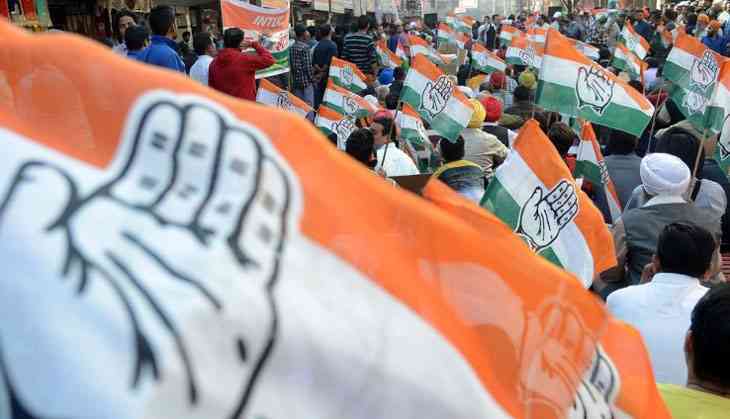 The Congress, which was decimated to a mere 44 in the 2014 Lok Sabha elections, is treading the electoral path safely this time and has been involved in social media engineering and other ways to advertise their promises via the digital route. Congress has hired Percept and Golden Rabbit for the electronic media advertisements at the national and regional level, Active Media and Golden Rabbit will work for party’s advertisement in print department at the natonal and regional level. Khushi advertising has been hired for cinema and Active Media will also play the role for advertisement in radio. Elections are scheduled to begin from April 11.